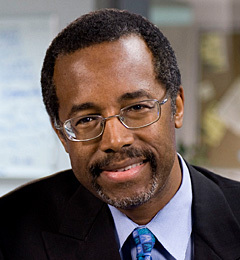 Dr. Ben Carson, an innovative and very well-known pediatric neurosurgeon and author from Johns Hopkins University, is scheduled to give the commencement address for, and receive an honorary degree from, Emory University this coming Monday (Update: see a video Dr. Carson’s talk below) . Dr. Carson is a favorite commencement speaker (this will be his 74th commencement address). Of course, this is no big surprise given his world-renown fame as a surgeon, writer, speaker, and gifted ability to motivate both young and old alike – not to mention his stellar Curriculum Vitae or the fact that he was awarded the Presidential Medal of Freedom in 2000 – the highest civilian award in the United States. By believing we are the product of random acts, we eliminate morality and the basis of ethical behavior. For if there is no such thing as moral authority, you can do anything you want. You make everything relative, and there’s no reason for any of our higher values. It would have been extremely courteous if they had asked me whether it was true that I said people who are evolutionist are unethical, which I never did. Those of us who believe in God and derive our sense of right and wrong and ethics from God’s word really have no difficulty whatsoever defining where our ethics come from. People who believe in survival of the fittest might have more difficulty deriving where their ethics come from. A lot of evolutionists are very ethical people. In the interview for the Adventist Review article, Dr. Carson also went on to explain that he’s not impressed by the evidence for Darwinian theory and re-emphasized that a materialist philosophy seems to him to be at odds with free will and how that makes it tough to offer a coherent account of moral principles. The academic bullying that Emory’s faculty has visited on Dr. Carson is not an isolated episode. Scientists who ask tough questions about evolutionary theory are routinely intimidated and silenced by advocates of Darwinian orthodoxy. Dr. Carson’s unwelcoming welcome sends a message to less renowned and therefore less bullet-proof scholars. If they open their mouth to question Darwin, fellow academics will not only disagree but will hurt them by misrepresenting their opinions. Imagine the results if he were someone else: a young scientist seeking a strong start to his career, a not so young but still untenured scientist with his livelihood to protect, even a tenured academic worried about his reputation and the future careers of his own grad students. This is how Darwinists maintain the fiction that the scientific community has reached a freely determined “consensus” in favor of Darwinian evolution and against intelligent design. The consensus is maintained by intimidation, by bullying. In short, such attacks have far more to do with personal philosophies, even religious philosophies, than they have to do with empirically-based science or rational faith. I dare say that neo-Darwinians are protesting too much. By so doing, they come across as desperate – giving the impression that if anyone is actually exposed to ideas countering the neo-Darwinian perspective and/or favoring the position of special creation, that such ideas might actually be favorably received, even by academics – if they were actually allowed to openly consider opposing points of view. “Psuedosciences are based largely on dogma and uncritical belief, and hence tend to resist change once they have been developed. Their advocates and practitioners generally regard attempts to alter them as hostile. In contrast, skepticism is the very lifeblood of science; it is only by questioning and testing its ideas and theories that new questions are revealed and the science can advance. Pseudosciences tend to be fairly static in this regard; the small amount of research and experimentation that is carried out is generally done more to “justify” the belief than to extend it. Sciences advance by accommodating themselves to change as new information is obtained. If evolution were a good theory, its promoters would not want it called a “fact”, since theories are far nobler things than “facts”. The attempts by some faculty at Emory and others to dogmatize evolution as a “fact” are indicators that evolution is closer to a religious belief than many of its promoters would wish to acknowledge. Richard Feynman in “The Meaning of it All” (p. 28) discusses the importance of understanding the tentative nature of science. “This freedom to doubt is an important matter in the sciences and, I believe, in other fields. It was born of a struggle. It was a struggle to be permitted to doubt, to be unsure. And I do not want us to forget the importance of the struggle and, by default, to let the thing fall away. I feel a responsibility as a scientist who knows the great value of a satisfactory philosophy of ignorance, and the progress made possible by such a philosophy, progress which is the fruit of freedom of thought. I feel a responsibility to proclaim the value of this freedom and to teach that doubt is not to be feared, but that it is to be welcomed as the possibility of a new potential for human beings. If you know that you are not sure, you have a chance to improve the situation. I want to demand this freedom for future generations. @Art Chadwick: Art, this statement is so succinct that I am compelled to save it. Very well stated concerning the “science falsely so called”! They are probably right abut the stellar achievements of Dr. Carson in the science of medicine being out of line with where “Emory ideals” have evolved to at this point. Thanks, Art, for this clear preception of the false science being used to support evolution. It is related to superstition far more than real objective science. It is a calamity that ethics (and lack thereof) have been introduced into the debate about “How We Got Here”. I have numerous friends who ardently and erroneously adhere to Darwinian evolutionary theory, but yet exhibit a sense of morality and ethical concern that is admirable. It is a grave mistake to question evolutionists’ ethics. This debate should be confined to the arenas of science and history. Since the scientific method is NOT able to advance Darwin’s theories into scientific fact, we must turn to history. The scientific method requires experimentation in order to prove the validity of a theory. Since no scientific experiment can ever be devised to prove evolution (as nobody is able to witness what happened billions of years ago),Darwin’s theories shall forever remain in the theoretical realm, and not confirmed science. In the absence of scientific confirmation, we must turn to history–the written record. We are fortunate to have such a record (the Bible), and it is at total odds with the pseudo-science of the evolutionists. If evolutionists could be persuaded to examine the Biblical record, they would find incontrovertible evidence of a Creator God, a Redeemer God, and a God who can predict the future. This is the God who gave Nebucchadnezzar and Daniel (and us) a snapshot of future events. Please note that the gods of the Chaldeans, astrologers, magicians, and sorcerers came up with a complete blank, even when threatened with immediate extinction. Evolutionists need to consider that even their highest ethical standards will come up short at the judgment seat of the Ancient of Days. It is a grave mistake to question evolutionists’ ethics. Dr. Carson wasn’t questioning anyone’s morality/ethics – i.e., he wasn’t questioning the fact that even atheists can achieve a very high level of ethical and moral behavior (to the point of shaming most Christians on occasion). In fact, Dr. Carson specifically pointed out that many atheistic evolutionists are very ethical and morally upright. What Dr. Carson questions is the rational basis for ethics/morality. What is the basis of morality if there is no God? no ultimate source of Authority who defines what is right and wrong? who defines absolute moral truth? Without such a reference point, morality is relative… relative to one’s own personal frame of reference and ideals. What Dr. Carson is indirectly suggesting is that atheistic evolutionists unwittingly derive their morality, their ethical values, from the very God that they deny exists – that there is a universal morality that is known within each one (as if Someone wrote a common moral code on within every person). Otherwise, morality would be entirely relative. No one could really say that the actions of anyone else where truly “bad” or “evil” – only relatively so from their own personal perspective and not from some fixed external point of reference. Another academic tempest in a teapot created by those who apparently would muzzle “Creation” thinking by a man who has won worldwide acclaim. Liberal thinking “scientists” and their lackeys, it seems, would like to intimidate the good Doctor. How crass. Ok, let’s agree that the evolutionist’s attempt to “muzzle” Dr. Carson is bad. After all, a scientific community would not want to employ anyone that actively undermines the fundamental values and goals of the institution, i.e. to promote an understanding or the universe through the practice of science. How is that different that the reasoning used by Educate Truth to harass and intimidate SDA teachers and church members? 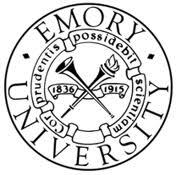 Dr. Carson wasn’t invited to speak at Emory University on the topic of origins. He was invited to give a motivational commencement address. It seems strange, then, that his position on origins became an issue. Of course, it is perfectly reasonable that an institution that has taken a stand on neo-Darwinism wouldn’t want anyone coming along to undermine that position. Certainly such a university would not hire a Creationist to promote creationism in its biology classes. That’s perfectly reasonable from the mainstream position. Never mind that neo-Darwinism is supposed to have the support of so much “overwhelming” empirical evidence that it hardly needs defending. It seems strange, therefore, that neo-Darwinists are so concerned over the possibility that their students might become confused by those who support the creationist position with empirical arguments of their own. As far as teachers in our schools are concerned, they have been specifically asked, by the Adventist Church, to actively promote the Adventist position on origins – something that hasn’t been done at LSU for a very long time. Obviously, it is counterproductive to actually hire someone to attack and actively undermine that which you’ve hired him/her to do. We SDA’s DO have those who will stand up for our Bible-based beliefs, no matter who or what stands against us. As we have seen and heard, evolutionists will not stand for ANY competing information to be heard, written, seen, or spoken! BTW, has Dr. Carson spoken at Liberty University? I don’t think they would kick him out. I love this whole episode for two reasons. First, it draws attention to the fact that one of the nation’s best surgeons is not a Darwinist but a creationist. That’s great! I want many people to learn of this fact, because it counters the myth that all scientists are Darwinists. Second, it reveals the Darwinists for the totalitarian bullies they are. Ben Carson was to give a commencement speech at a university that still has formal ties to the Methodist church that founded it (it was named after a Methodist bishop, John Emory). Carson was not being invited to head up the biology department, or to teach, or to be the dean or the president. He was invited to give one speech, an inspirational, motivational speech. And he is one of the greatest poor boy-makes-good stories currently going. And the Darwinists are upset because he is a creationist? Because he’s a Christian who believes the word of God? Because, even though he wasn’t going to discuss it, he believes what that university’s founders believed? Incredible. More bad press on the Darwinist bullies. How can evolution be “predictive and falsifiable” when its basic premise is chance, chance mutation and chance environment. It is outside the realm of empirical science, very similar to that of creation. The common theme here is that liberals are intolerant when it comes to opinions that unmasks their story telling. We have seen it at the Spec and at AT and here in this example it is in fact “more of the same”. A case where libs backing blind-faith evolutionism do not like having to tolerate their stories being debunked by real life. They would much prefer a raging irrational conservative that they can poke fun of – or else a confirmed, in-the-tank, koolaid drinking lib. You are correct. Darwinian evolution is not falsifiable, because if you ask an evolutionist to explain “how” something evolved, they will give you a theoretical, answer, meaning something that is “possible” though not testable. Evolution “explains everything” thus if actually explains NOTHING!